Continental Railroad possible in 1868; little more than half a century later, the state was instrumental in making the first Trans-Continental automotive highway a reality. The Lincoln Highway was called “America’s Main Street”; in fact, many of the towns that dotted the map called the Lincoln “Main Street”; and in turn, many of these places renamed their “Main Streets” to Lincoln Avenue, Lincoln Street, or Lincoln Way. This was one of the intentions of the Lincoln Highway; to connect the country – town to town, neighbor to neighbor. Many of the early proponents of the highway oftentimes compared the Lincoln Highway to that of the Via Appia that the Romans constructed in the 4th Century BCE. The length of the Appian Way was approximately 362 miles, the Lincoln would traverse a distance of nearly ten times that. Unlike today’s Interstate Highway System, with its controlled access, its smooth ribbons of asphalt, concrete and steel, its wide areas of egress, simplicity, and regulation; the Lincoln Highway was quite the opposite. This project seeks to examine the history of the Wyoming section of the Lincoln Highway, the arguments about the final routing of the road across the state. The format for this web site is based on the first publication of the “Complete Official Road Guide of the Lincoln Highway”, (published by The Lincoln Highway Association, National Headquarters, Detroit, Michigan – copyrighted 1915). This will include the mileage to and from the termini for the highway; the complete listing for all services, accommodations, population, pricing, and business concerns to be found for each location as of 1915. This project is focused on the 400-mile stretch of the Lincoln Highway, (U.S. 30) as it crosses southern Wyoming; some forty towns and places were bypassed when Interstate 80 was completed in 1970. 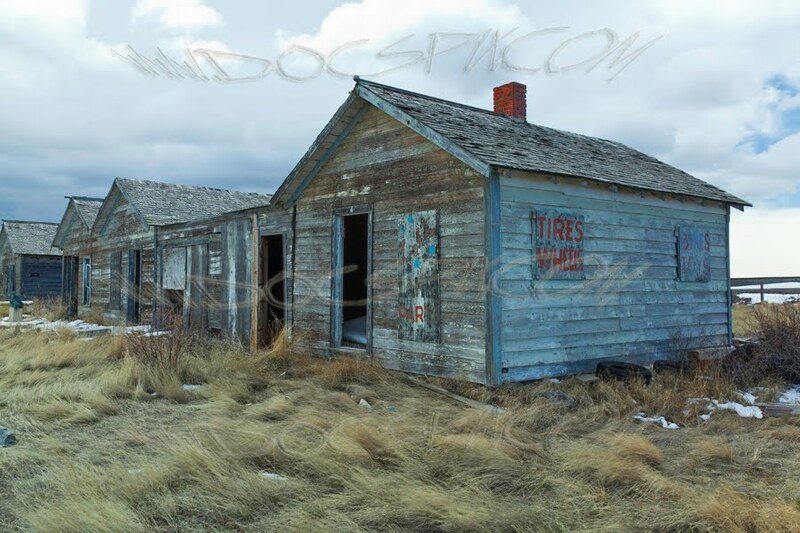 Some towns have nothing more than crumbling foundations where buildings once stood; others are slowly dying from old age, with no one to care for them. Still others are serving the needs of ranchers and travelers who continue to use this once important highway; most towns that are being documented have population counts of less than 500*. The average is 145 souls in each town. 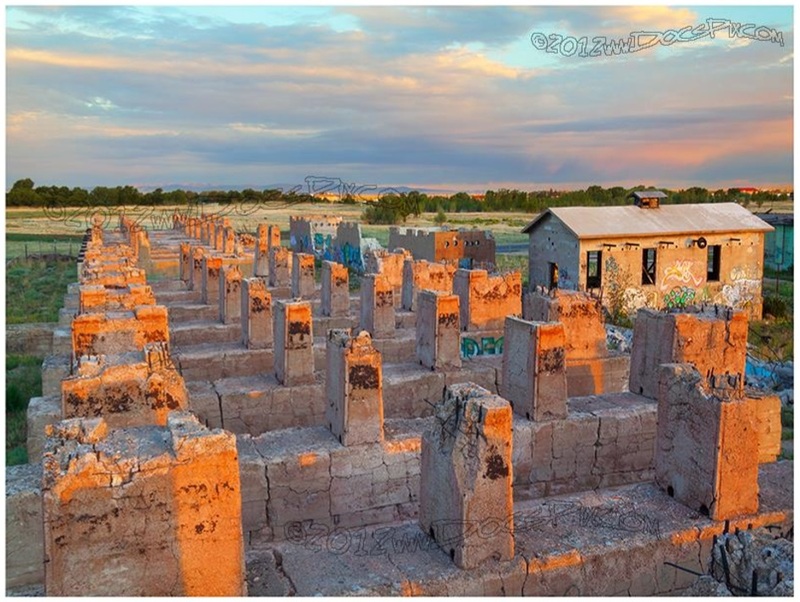 The cities that have prospered as a result of the Interstate passing through them will have limited exposure; primarily the motels, and motor courts that once made the journey across the state at least comfortable. Throughout the history of mankind, there have been many significant milestones that have moved the species forward. These include the discovery of fire, and being able to control it; the invention of the wheel, the realization that the Earth was not the center of the universe, and the discovery of electricity. Another milestone is the discovery of oil. Every single human being on the planet is touched by oil; be it by transportation, or heating oil. But also from the by-products that oil has wrought; including plastics, nylon, synthetic rubber, and a myriad of other products. Although petroleum has been in use for thousands of years – in one form or another – it was some time in the middle of the 19th century that a process to distill, or refine, kerosene was developed. Kerosene provided a more economical alternative to whale oil. It was this refining process that would help drive the industrial revolution, transforming the use of coal-fired steam engines to more economical and more powerful diesel engines. Gasoline is the most commonly used by-product of petroleum, or the more widely used term, crude oil. Crude oil is simply petroleum that hasn’t been refined. 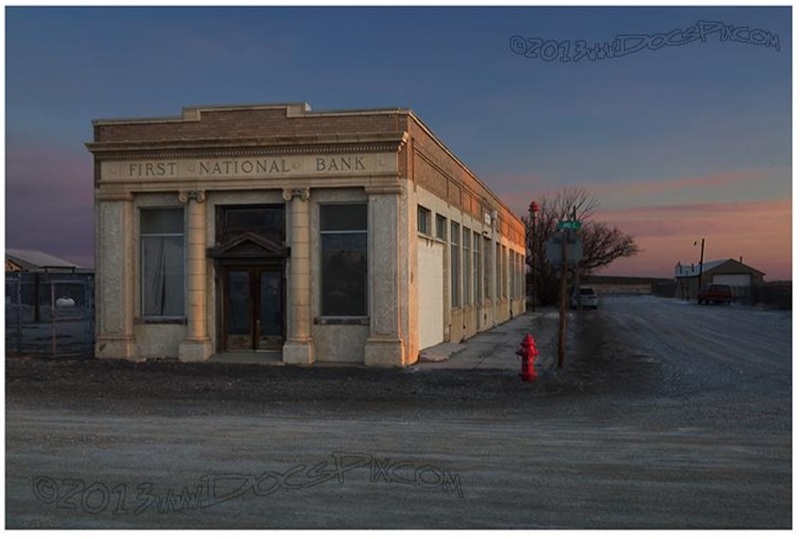 This project is a photographic journey into the history of one such location where petroleum refining once took place – in the early part of the twentieth century. This site was in use as an oil refinery for just twelve years. It was repurposed for a short time in the mid-twentieth century to refine a heavy metal, (yttrium). No commercially viable yttrium was produced. Following this period, the site was used for various industries, until it was abandoned due to environmental concerns in the early 1980’s. 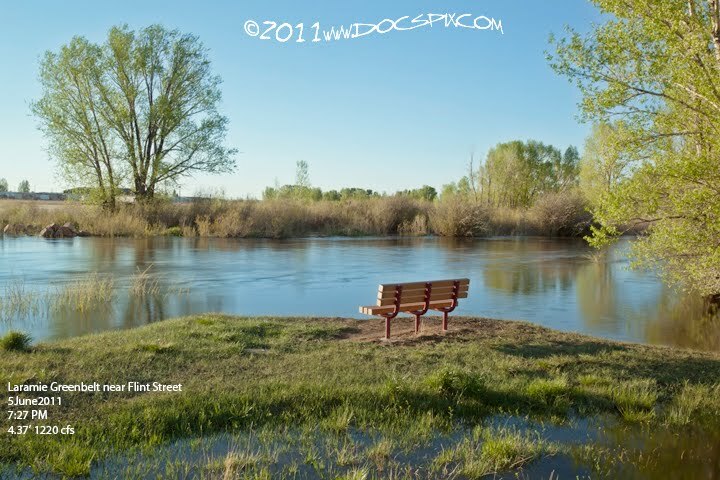 With the snowpack in the high country at near record levels, (some areas as much as 200%), the possibility of the Big Laramie River flooding is considerably higher than usual. I’m going to be documenting this from a number of locations along the rivers edge; starting from the head waters at Chambers Lake and following it through it’s journey through the county as far north as Bosler. All locations within the city limits of Laramie, (including the Monolith Ranch), are referenced against the Curtis Street gauge. All locations north of the city are referenced against the gauge near Bosler. Locations south of Woods Landing are not referenced against any existing gauges. Update: I’ve completed this project as of July 4th, 2011. I plan on making more images throughout the fall, winter and spring. If next year, the river floods again, I’ll do a follow up. Until then, this one belongs to the world of electrons. The PDF has more details and images than previously published, including the famous Dale Creek Bridge as it was in 1868, 1876, 1890 & today. I’ve recently embarked upon a project that I’ve wanted to do for some time now; the Laramie Plains Civic Center, located at 710 Garfield Street. For the uninitiated, this building is a labyrinth all unto itself. Originally built in 1878, it was the first school building in the state of Wyoming, and was known as the East Side School. It had two major additions; one in 1928-29; the second was a part of the WPA, (Works Projects Administration) in 1938-39. 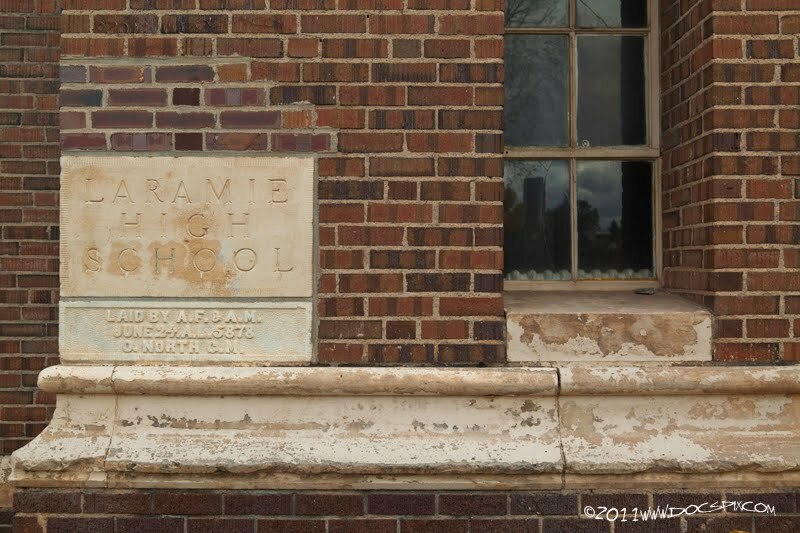 The building served as the senior high school for the city of Laramie until a new high school was opened in 1959. It then served as the junior high school until the mid-seventies. It was added the National Register of Historic Places in 1981. Over the course of the last few years, the building has been undergoing an extensive restoration and renovation project. This project is intended to provide a comprehensive documentary of the current state, and current uses of the building, as well as document the renovation as it proceeds. I’ve been fortunate enough to have been granted access to the areas of the building that have been,(and continue to be) unavailable to the public for a number of years. I want to extend a heartfelt “Thank you” to Alec, Rebecca, David, Harold and the rest of the staff at LPCC for all of their assistance with this project.